Ten Brands That Will Disappear in 2014. It’s not 100% a match, but I do own JC Penney and Martha Stewart Omnimedia. Why, if you only swapped in some AMD and maybe some Research in Motion, for Mitsubishi and Volvo, and it would look very close indeed. Click to embiggen. 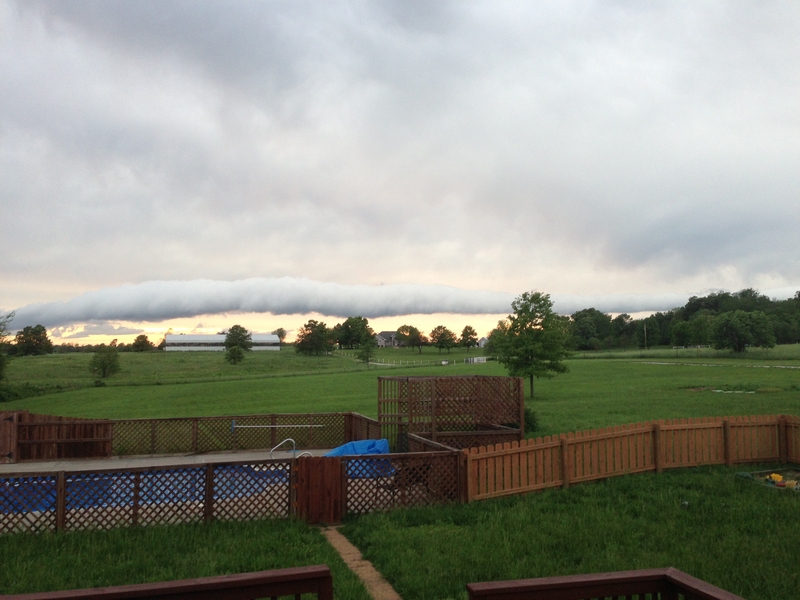 It’s a thin cloud that stretched pretty much from horizon to horizon below the other cloud cover. I’ve never seen anything like that. But it’s been three years of that same feeling of wonder since I moved to the country. “We regret to announce that Larry Conners is no longer a KMOV news reporter. “For KMOV, there is no higher cause than unbiased, objective news reporting. It is what our viewers expect and it is what we work very hard to deliver. We can accept no less. Larry is certainly entitled to his opinion, but taking a personal political position on one of the Station’s Facebook pages creates an appearance of bias that is inconsistent with important journalistic standards. Larry Conners has been on the air in St. Louis for a long time. Undoubtedly his salary is pretty good (from his perspective). Is it bad from KMOV’s persepective? Is Belo / KMOV looking to dump an anchor fondly enjoyed in the St. Louis area because he’s old and expensive, and they have seized upon this as a reason to do it, to make it Conners’ fault, and to seek the approval of the hipster/Washington Avenue loft demographic? Professionally, Conners has been taking hits at KMOV, which replaced him in late April with former sportscaster Steve Savard (alongside Sharon Reed) on the marquee 10 p.m. newscast. For several months, Savard had filled that slot while Conners recovered from shoulder surgery. Ratings for the Savard newscasts were better than with Conners, sources said, leading station officials to make the switch permanent when Conners returned to work. Savard also has been anchoring, again with Reed, the 6 p.m. newscast since Conners went off the air because of this recent flap. Generally, stations have their top anchor team host both the 6 p.m. and 10 p.m. newscasts. His Facebook posting provided a convenient excuse and time to sack him. So the corporate powers-that-be did that, and made a Show of Their Integrity in doing it. Now, back to their regular slant, no doubt, which is licking the hand of government that feeds them access. Man, powerful people are sure getting comfortable in telling transparent falsehoods, are they not? On Sunday evening, we attended a gospel concert by a group from a college in New York, a group that includes my children’s babysitter from when they were babies and toddlers. We agreed to host her and another group member overnight, which meant that we were treated to a dinner at the hosting church. My children, at the prompting of their father, traveled through the gym to get the members of the choir to autograph their programs, and they eventually cajoled the tour bus driver to sign as well. As a reward, after the dinner, the bus driver let them sit in the bus driver seat and honk the bus horn. Now, this is a full touring bus, not a school bus. The sort of vehicle where you have to start the engine to get the horn to work. A truck horn kind of horn. The older boy sat in the seat and tootled the horn, at least as much as one tootles and industrial-grade noisemaker that blasts out a 100 decibel chord. The younger boy, freshly five (which means he can be tried as an adult for noise violations, I understand) hopped into the seat and played that truck horn like a percussion instrument, beating out a tempo not unlike the one a choir member had tapped out on a conga drum during the concert. And how he grinned. Beamed. He thought that was the highlight of his young life, and he might be right. The bus driver joked about the neighbors calling the police, and we dispersed to treat the young ladies in our charge to an Andy’s Frozen Custard and a night’s sleep. The next morning, we discovered the neighbors called the police. But the memory of that grin–of course we didn’t take pictures or film it, that’s evidence and requires a degree of foresight we lack. But I will never forget that smile of pure joy in simple loudness and power to make that loudness that the boy shone. Even though he probably will. It’s worth whatever fines the driver has to pay or years taken out of his life in prison. What a cool story for my friend to relate. Would someone look up the statute of limitations on noise violations for him? KMOV anchorman Larry Conners posted on Facebook that he might have been targeted by the IRS for asking a tough question of President Obama during an interview before the election. A meeting between KMOV (Channel 4) executives and anchorman Larry Conners — who is off the air until further notice — has been set for Monday. The station is examining Conners’ recent post to Facebook alleging he was targeted by the Internal Revenue Service after interviewing President Barack Obama. I wonder if Belo / KMOV minds if its on-air reporters speculate off-hand in an approved fashion, which might be pro-government. Because we’ve all seen how the papers and news stations have pretty much become lick-spittles for government at all levels, whether through multi-part and seemingly multi-annual booster sessions for additional government children’s programs (Springfield News-Leader, do you recognize anything about yourself here?) to promoting government largesse on sports facilities to approval of government incentives for redevelopers of downtowns or new developments of strip malls to strip sales from existing, full tax-freight paying businesses (unless, of course, the new development will have a Walmart, which is viewed with skepticism to say the least). Would he be on the air today if he’d mused that he thinks this is all blown out of proportion? Come on, cyn with me. Is KMOV and its parent Belo afraid of what this now-viral musing of its anchor might mean to future access to the powerful or–dare we say it–corporate relations with the IRS? I guess we’ll know more on Monday, but regardless, this is a poor, poor reflection on KMOV and Belo. In my day, people who were engaged in writerly arts, especially professionals in the field, had some expertise with these crazy preposition things and tried to use the right ones to accurately convey whatever knowledge or propaganda they were trying to pass on to the reader. I see from reading the story that the fellow was convicted of charges stemming from the firefight, so I guess he could be convicted for the firefight, but he’s convicted after the firefight just in the same way that he was named after me. [He] had a history of misdemeanor convictions related to marijuana possession when a SWAT team went to his Shreve Avenue apartment on March 5, 2012, to execute a search warrant on a tip that he was dealing it. Lovely. A SWAT team going for a small-time drug dealer. The gunfire at the SWAT team justifies the SWAT team going after small-time drug dealers. A little word game we play involves guessing words based on the starting letter and clues. This time, it’s a grammar test. It’s from the UK, so it’s got some extraneous U’s in it. But still. Today’s lesson in the Swedish language: Ogooglebar means unGoogleable; that is, something you cannot find on the Internet using a search engine. I’m not really sure how useful the word really is given that most things are, in fact, discoverable on the Internet. And, yes, I am a little behind on my Wall Street Journal reading, but I’m almost caught up. At which time I can begin blogging about the hot stock tips from last year’s Forbes. 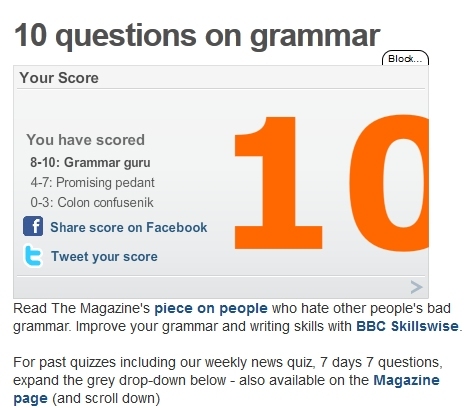 The problem with the quiz, of course, is the wording of some of the questions. Also, the repetition of global warming as scientific consensus. When the question is, “Most scientists agree,” one must recognize that most scientists are not specialists in the field under question. Which goes triple if you include ‘social’ scientists. This book is not an Cole/Pike book. It’s more along the lines of Demolition Angel, wherein the book focuses on a member of a branch of the police force that’s not your ordinary detective or street cop. In Demolition Angel, it was a member of the bomb squad. In this case, it’s the K9 unit. A patrolman is shot and left for dead after being in the wrong place in the wrong time. His dreams of joining the SWAT are out the window, but he remains on the force if only to find the people who killed his partner. He joins the K9 unit and learns the ways of dogs and partners with a former Marine bomb-sniffing dog from Afghanistan and together, they piece together what’s going on. It’s an engaging read, happily free of political asides that only serve to remind me that the author would rule me if he could, but there are still a couple of knocks. The shifting points of view include anthropomorphizing the dog which seems a little unserious to me. Also, the ending is very abrupt and cinematic. 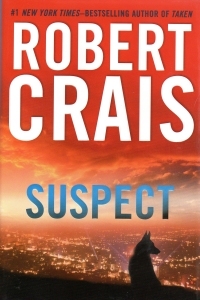 But Robert Crais is still one of the few living authors I can read. You’re forgiven if you think I’ve reviewed this book before. But that was Suspects, which I read back in 2006. 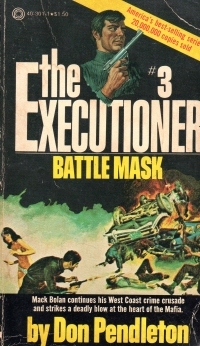 This book is the third in the Executioner series and the earliest I have (and one of the last I got). In it, Mack Bolan is fresh from his big LA expedition that left his team dead or in jail, and he’s still in California. He turns to an old army associate to give him a new face as the old one is widely known. The Mafia catches wind of his plans and learns where he went, but not before Bolan infiltrates the local den as a freelance headhunter looking for Bolan. It’s standard fare, pretty good for the Pendleton books. It introduces Hal Brognola to the series. It has events that later books refer too–and most of the later books refer to the events of these first few books a lot, and then the later books a little. I wonder what Pendleton must have thought about these books and series and how long they would have gone on. Could he have expected to write thirty-something of them over a decade? It might have made these early books a bit tighter in their universe. Or maybe I’m making that up. At any rate, one more down, seventy-seven (of the Executioner series alone) to go. Of course, if you’re familiar with Mr. Thompson’s other columns, you’re recognize he is unlikely to mean to make that point. But he does. If Paul Rodgers and Yngwie Malmsteen formed a supergroup, they could call it Rodgers and Malmsteen. I’d by an album on the name alone. All right, so I read a book on Swedish history, which led to my new taste for lingonberries and then to commenting on Swedish news. When will it end? When will Brian J. cease with this little blog goofery fixation on Sweden? So I mentioned I went to the Friends of the Clever Library book sale this weekend; I didn’t say that I avoided the Friends of the Springfield Greene County Library sale, although I sort of did. Because I knew I’d buy a bunch. But I did not avoid it entirely; instead, we went on Saturday, half price day, twenty minutes before they closed and about seven minutes before the volunteers started checking the charges on their cattle prods. The limited time frame, I knew, was all I could count on to limit myself, and I headed right to the LPs. 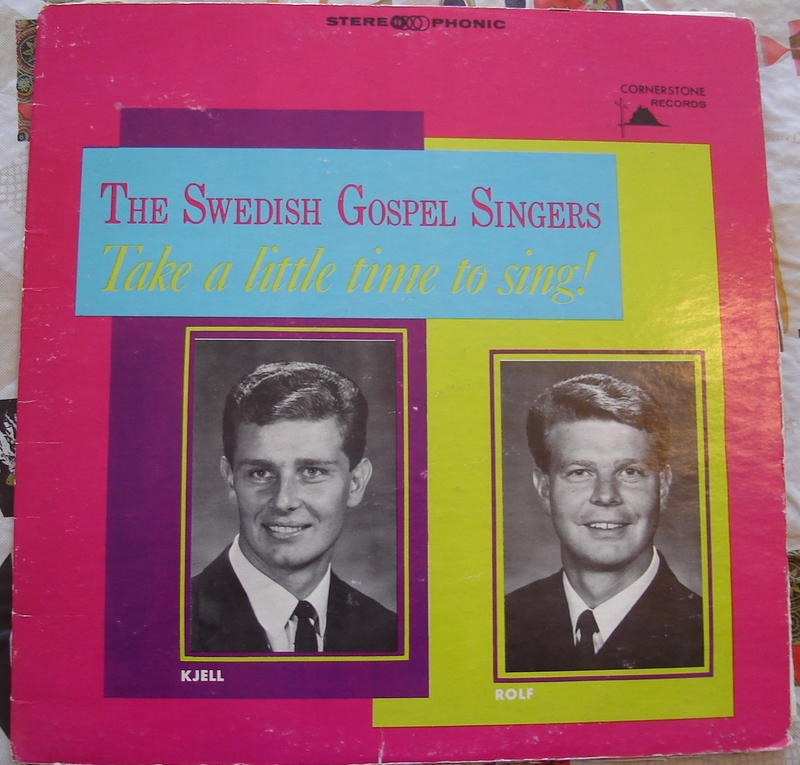 Apparently, this is the 1966 album that started it all for the Samuelsons, who together or separately have released albums together or separately as late as 2005 (although Rolf, the older, passed away in 1981). Or so I kinda glean from the Swedish Wikipedia page. The album is mostly in accented English, although a song or two are in Swedish. I’ve only listened to it once, but it’s not bad, and I’ll listen to it again although gospel is not a native genre for me to follow, I seem to be acquiring a couple LPs here and there, especially when they’re in a foreign language. Oh, what else did I get? A Herb Alpert and the Tijuana Brass album (….Sounds Like…), a couple of Doc Severinsen albums, a couple Mood compilations (one for dining, one for sleeping), a Longines Symphonette Society Christmas collection, and a collection of music from Brazil. The sorts of things I listen to on my hi-fi. I keep meaning to bore you with a regaling of my listening zones where I listen to music and the different kinds of music I listen to while I’m in that zone. One of these days.